The rise and precipitous fall of the adulterous, anti-stimulus governor of South Carolina. Sanford immediately resigned as chair of the Republican Governors Association, and a day later he pledged to reimburse the state for a government-funded trip he’d taken to Argentina in 2008. It remains unclear whether he will survive the mounting calls for his resignation, though it’s almost certain the exposed infidelity has torpedoed any chance he might have had of attaining the Republican presidential nomination. But if now is the time to write Sanford’s political obituary, it would be a disservice to place so much emphasis on his affair. What brought Sanford to national prominence and prompted Republican National chair Michael Steele to anoint him as a rising star was the months-long, headline-grabbing campaign Sanford led to turn down portions of the Obama administration’s stimulus funds. His stance played well among the fiscal conservatives who rallied behind the “tea party” protests this past spring, but many South Carolinians questioned the judgment of a governor who was willing to turn away money (jobs, really) designated for a state that desperately needs it and that boasts the nation’s third-highest rate of unemployment. In order to establish his economic bona fides among conservatives, it seemed, Sanford was prepared to run his state’s economy into the ground. The showdown ended June 4, when the South Carolina Supreme Court ordered Sanford to apply for the disputed$700 million earmarked for his state. As questions mounted about the governor’s absence, his staff initially said he was hiking the Appalachian Trail to recharge after the defeat. But if there is an irony to be found in Sanford’s rambling public apology, it’s not the standard tale of comeuppance. Rather, it’s that he was finally asking South Carolinians for forgiveness–but for the wrong reasons. Young, handsome and rich, Sanford swept into the House as part of the 1994 Republican revolution. A firm believer in the Contract With America–the party leadership’s paean to limited government–he pledged to serve no more than three terms. Yet even by his own reckoning, his time in Congress was undistinguished. The Trust Committed to Me, an autobiographical account of his six years in Congress, is a strange political memoir–a masochist’s chronicle of one legislative failure after another. 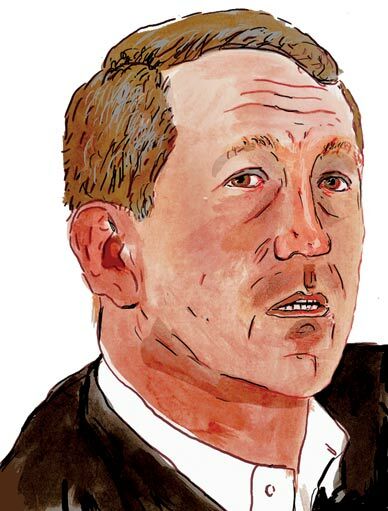 In the fights over term limits (for), sugar subsidies (against), Congressional pay raises (against), Social Security reform (for) and the pork-laden highway bill (against), Sanford was always on the losing side–opposed not only by Democrats but often by his own party, which enjoyed a majority in both houses. Among his former colleagues, Sanford’s Congressional days are remembered for his public displays of frugality: he trimmed office staff, helped stop the daily delivery of ice to Congressional offices, slept on a futon in his office and showered at the House gym. “It was one gimmick to the next, and I never thought there was much substance to him,” said House majority whip James Clyburn of South Carolina. Until the recent stimulus kerfuffle, Sanford’s years as governor had been most notable for public theatrics, as well. In May 2004, a day after the Republican-led House overrode 105 of Sanford’s 106 budget vetoes, the governor carried two piglets into the Statehouse chambers to protest “pork-barrel spending.” (That the pigs proceeded to defecate on the governor struck some miffed lawmakers as poetic justice.) The following year, he brought a horse and buggy to the Statehouse, saying it symbolized the state’s “outdated” Constitution and ways of governance. At first, it looked like the governor’s recent “disappearance” was yet another in his long resume of zany but harmless capers. “Sanford’s ideal for a perfect South Carolina would find the state with very limited government, no income taxes, limited roles for public education and little governmental involvement with job creation,” wrote S.C. Statehouse Report publisher Andy Brack in 2005. In less dire economic times the governor’s fiscal austerity resonated with many South Carolinians. But as the economy tanked, his style of governance, which can best be described as obstructionist, has proved costly. One sunny morning in late April, I attended a job fair at Columbia’s National Guard Armory, not far from the Statehouse. Hundreds of down-on-their-luck South Carolinians went from booth to booth discovering that for every company hiring–Verizon was looking for sales staff–there were others pitching training programs with no guarantee of a paycheck. I spent that afternoon in the observation balcony of the State Senate chambers alongside children from Greenville’s Welcome Elementary School. The third graders were on a field trip, and they caused a brief commotion as they leaned over the railing to take photos. The august men below–there’s not a single woman in the State Senate–were debating the 2009-10 appropriations bill. Tax revenue had plummeted; even though the $5.7 billion spending plan the Legislature passed included the $700 million in federal funds, it fell about $1 billion short of the previous year’s plan. Congress has mandated that the disputed $700 million–one-tenth of the total allocated for South Carolina under the $787 billion federal stimulus package, but the only part the governor believed was within his power to reject–be disbursed over two years for education and law enforcement. Sanford wanted to redirect the money to pay down state debt, and he stood prepared to see it go to other states even though South Carolinians would still have been on the hook to pay it back. “Going further into debt will not solve a problem that was created by too much debt,” he said in a televised address defending his position. It’s the rare Republican official who stands up to Limbaugh, and Sanford must have known he’d have a much better shot at becoming president if the radio host’s wishes came true. After the 2008 election, exit polls showed that three of five voters said the economy was their top concern, and that remains true today. President Obama will not likely see a primary challenge, which means he won’t have to face the argument–advanced by Nobel Prize laureates Paul Krugman and Joseph Stiglitz, among others–that $787 billion does not go far enough toward righting the economy. The likely Republican attack will draw on Chicago School economics, calling for less government meddling in the markets. Some compared Sanford and his devoted following to the buzz surrounding Texas Congressman Ron Paul’s 2008 bid for the Republican nomination. “There’s some similarity there, though I think Paul has more exotic views,” said Patrick Caddell, Jimmy Carter’s pollster and a frequent Fox News guest. Now, however, Sanford has become only the latest casualty in a dwindling list of 2012 Republican hopefuls. Another potential candidate, Nevada Senator John Ensign, resigned his Senate leadership position earlier in June, after acknowledging an extramarital affair. Two other prominent Republican governors who have refused portions of the stimulus, Louisiana’s Bobby Jindal and Texas’s Rick Perry, have also seen their presidential chances hurt by recent public appearances. Many Republicans were underwhelmed by Jindal’s widely televised reply to the president’s first address to Congress in February, and Perry’s allusions to possible Texan secession at a tea party rally likely constitutes an insurmountable gaffe. Whether or not he manages to serve out his term, Sanford is unlikely to hold another office. But perhaps he can take solace in the credo of the US Term Limits Foundation, which published his memoir in 2000: “Remember, every town councilman wants to be a congressman; every congressman wants to be a senator; and every senator wants to be president.” It’s an indictment of political ambition, and until very recently it applied even to Mark Sanford, the self-described “citizen legislator” and reluctant politician who has never lost an election. Ultimately, it was Sanford’s personal foibles, not his political ones, that prompted a search for empathy. As he choked back tears in front of the Statehouse rotunda, Sanford said he would spend the days ahead traveling the state, talking to South Carolinians and asking for forgiveness. “Governor Mark Sanford, fully aware of the consequences of his failure, told the truth with apparent contrition…and contrition is a start,” the Palmetto Family Council, a faith-based foundation devoted to “defending and strengthening South Carolina families,” said in its sympathetic statement issued after news of the governor’s affair broke. In his time as governor, Sanford has done little to improve the situation. Even though he lost the stimulus battle, his obstinacy cost the state desperately needed jobs. Before the courts weighed in, school districts had already announced they were giving up on the funds, laying off teachers and increasing class sizes. “We’ve had to make hiring decisions for the next school year with the money in limbo,” said state superintendent Jim Rex. Other state agencies faced the same dilemma. Before he vetoed the stimulus money, Sanford received a letter from the state’s second-most-powerful Republican, State Senator Glenn McConnell, imploring him to take the federal funds. “While the attacks you have launched may have been intended to build your national image as a reformer, in the final analysis, the work of a true reformer is measured not by words or TV ads or by press releases but by what he or she has been able to accomplish in the arena of public service or for the people he or she represents,” McConnell wrote. The letter identifies the qualities missing from the governor’s political DNA–an ability to lead, which often necessitates compromise, and any semblance of empathy for the less fortunate citizens he represents–that are incumbent upon all presidential aspirants to at least pretend to possess.